Thought of you all when I saw these...but you won't like the price for a 20-piece set! Oh....I've missed that one too!! (^^^) this makes a shark emoticon on FB, apparently not here. Ne'rmind. 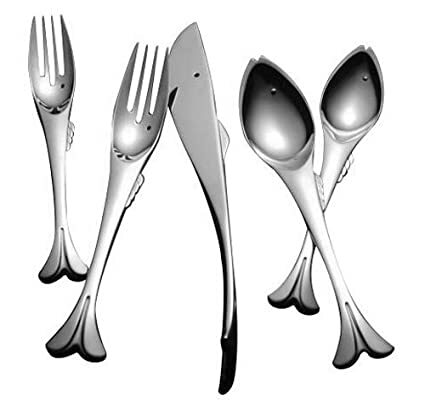 I already have that I was wanting to put the shark HERE with your fishie cutlery. I meant that's a good page for folks to bookmark for use on FB. I should have been more clear, though I'm used to women being mind readers! We used to have more, miss the pita flag. Don't think they work anymore here? A page I can never find when I want it! I should just print the page. For some reason these remind me of Sanctuary. Indeed! That set is adorable. 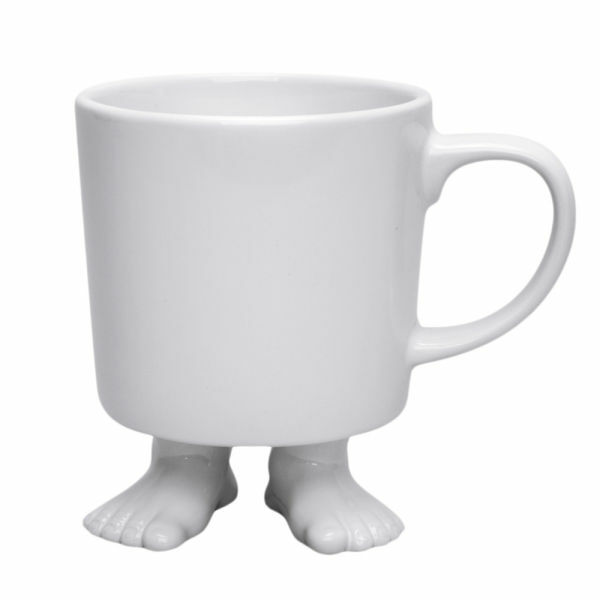 My mugs already have feet! They walk out of here all the time. How cute! But yes, they are more art than function for a B+B. I would never put these in the cottage....the whole set would be missing by the end of the summer! !